My sister has a major addiction? My sister has a major prescription/cocaine and alcohol addiction. This year, on the Fourth-of-July, she jumped off a roof and is not expected to walk normally if ever again. I'd really like to get help for her now, but every one in the family is telling me it's not the right time. I did call the hospital and talk to a nurse about her addiction but she didn't seem to care. Do you have any advise? My sister is in AZ. Comments for My sister has a major addiction? Likely need family support to get her the help she needs. Wow, she jumped off the roof and injured herself and her family thinks it's not the right time to get her help for her addiction? What I suspect you're facing with her family is denial. Addiction is a disease of the brain that, if left untreated, is often fatal. Your sister is likely in the latter stages of addiction and must get help ASAP but her family, for what ever reason, is refusing to face the dangerous reality of her situation. The nurse you spoke to likely isn't encouraged to address addiction because the hospital sees many people with addictions and sadly overlooks it because it is difficult to bill for. 1. Convince your sister that she needs to go into treatment and help her find a good inpatient program. 2. Work with her family until they begin to admit how much trouble she's in. Then, all of you can do an intervention with a professional interventionist getting her to agree to go into treatment. Neither of these options are easy but if you work on both of them hopefully you'll be successful. For support, I HIGHLY recommend you immediately begin attending Al-anon meetings and working the 12-step program. 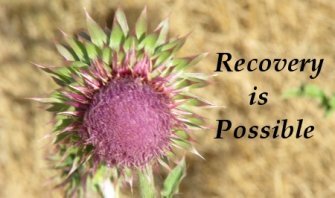 Attending Al-anon will hopefully teach you about addiction and also give you access to many others who are in the same situation you're in. Al-anon helps families accept their loved one's addiction and also helps develop plans to help them.